For many parents, their child’s first haircut is a celebration. It’s an exciting experience – going to the hairdresser, collecting those first locks of hair and giving the child a lollipop at the end! However, for many parents of children with autism, the word “haircut” elicits a terror response. Their child wouldn’t sit still, wouldn’t tolerate getting their hair wet, and those noisy clippers – yikes! Getting a haircut is a socially significant skill that we can assist with. For some kids, the reaction to getting a haircut is due to the fact that it’s a big change in their routine. For others, it might be the noise or the tingling feeling of the hair on their neck. Whatever the reason, we can work with the child to build up a tolerance to the barber or hairdresser. We recommend starting to teach this in a safe, comfortable environment (eg: home) before generalizing to an actual barbershop. Decide what the steps will be that the child has to learn. Will the barber use scissors or a razor? Will the hair be washed in the sink or with a spray bottle? Once you know the steps, outline them in a task analysis. Break down the steps as small as possible so that there is a better chance of success. Use a forward chaining to systematically introduce the learner to each step. Start with the first step and use lots of praise and reinforcement when the child is tolerating it. For example, if the first step is “tolerates sitting near the haircutting materials”, set up this situation and offer reinforcement and behaviour-specific praise to the child when he is tolerating the materials. As each step is mastered, systematically add (or chain) the next step so that you’re practicing the first 2 steps, then the first 3 steps, etc. Tip: Make sure that you give your kiddo LOTS of practice opportunities! Once your kiddo is tolerating all of the steps on the task analysis, he’s ready to take it out into the real world! Before going to the barbershop, it’s a good idea to research beforehand and find a barber who is understanding of the situation and wants to help. Speak to him in advance of any appointment and brief him on what to expect and how he can help make the haircut successful. The therapist should make a few trips in advance of the actual haircut and practice going into the barbershop, meeting the barber and sitting in the chair (and reinforce!). 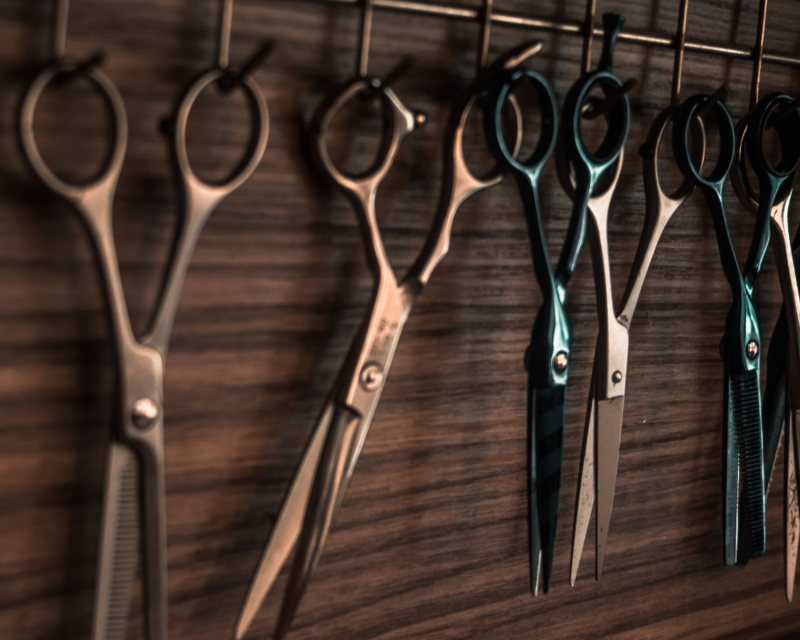 Once the process if smooth with the therapist, have the mom or caregiver accompany them on the next haircut trip so that the skill can be generalized to other people (besides the therapist). It might not go as smooth as you practiced the first time but stick with it – it will get better! This entry was posted in Uncategorized and tagged ABA, ASD, autism, desensitization, forward chain, haircut, howtoaba, life skills, task analysis. Bookmark the permalink.